Automobile is a combustible machine that makes use of fuel for its combustion process. The use of Automobile world-wide has become something very interesting to human life. Automobile as a locomotive machine has provided jobs for many Nigerians to enable them earn a living. Road traffic accident is the leading cause of death by injury and the tenth leading cause of death globally. 1. About 1.25 million people die each year as a result of road traffic crash. 2. Road traffic injuries are the leading cause of death among young people aged 15 – 29years. 3. 90% of the world fatalities on the road occur in low and middle income countries, even though these countries have approximately half of the world’s vehicles. 4. 4.Half of those dying on the world’s roads are vulnerable road user’s are pedestrians, cyclists and motor cyclists. 5. Without action, road traffic crashes are predicted to rise to become the 7th leading cause of death by 2030. 6. The newly adopted 2030 agenda for sustainable development has set an ambiguous road safety target of having the global number of deaths and injuries from road traffic crashes in 2020. The accident rate on Nigerian roads has become a threat to many Nigerians because of reckless driving and poor road conditions. Twenty eight (28) passengers died in an Auto crash along Ninth Mile in Enugu State of Nigeria, when two commuter buses that were managed by Peace Mass Transit (PMT) and Enugu State Transport Company (ENTRACO) crashed on each other. 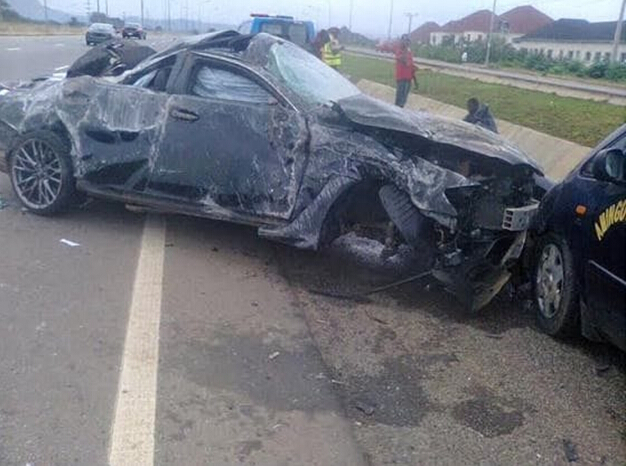 From the Federal Road Safety record of Nigeria in 2015, about 5,400 accidents occurred on Nigerian roads. Below is a picture showing an accident scene on Nigerian road. The companies used in the study are Dangote Group of Company (DGC) from the Northern part of Nigeria, G. Agofure Motors, (GAM) from the Southern part of Nigeria and Peace Mass Transit (PMT) from the Eastern part of Nigeria. The records from the three companies were used as part of the study, also the records from the Nigerian Federal Road Safety Corps was used to gather data that was used for the analysis. After the analysis, it was observed that Dangote Group of Company (DGC) that made use of trucks for the conveyance of goods and services had the highest rate of road accident on Nigerian roads from the three years record, 2013, 2014 and 2015 that was used in the study. The recommendations made by the researcher if seriously adhered to by the Federal Government and the Federal Road Safety Corps it will help to reduce the occurrence of road accidents on Nigerian roads. Senior tutor in the Delta State University Secondary School, Abraka, Delta State, Nigeria.